Tell Me&#8230- Exactly Where is The North Country? When New Yorkers say with pride that they come from the North Country, strength, courage and rugged individualism can be seen written all over their faces. In addition, everyone knows they have the ability to withstand abnormally cold and miserable weather, and to survive natural disasters, such as the Great Ice Storm of 1998. But, exactly where is the North Country? Yes, it is in the northern part of New York State, but north of what? Yonkers? Albany? The Erie Canal? The Adirondacks? 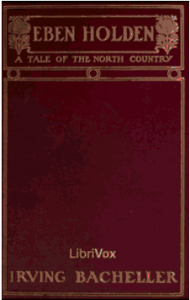 The term North Country was first widely popularized for use in New York State by the author, Irving Bacheller, when his novel, Eben Holden: A Tale of the North Country, became a literary sensation in 1900. Bacheller was born in Pierrepont, St. Lawrence County, NY in 1859 and graduated from St. Lawrence University in 1882. Two years later, he founded the first U.S. newspaper syndicate and introduced the writing of Stephen Crane, Rudyard Kipling, Arthur Conan Doyle and Joseph Conrad to American readers. Bacheller retired from newspaper work in 1900 to concentrate on writing novels. Eben Holden: A Tale of the North Country was his fourth novel and it became a runaway best seller. The story follows the life of an orphan, Willie Brower, who grows up in the North Country, becomes a journalist and joins the army when the Civil War breaks out. 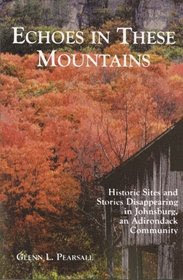 Large numbers of readers learned about the North Country’s strong sense of place from the characters in the book which were all drawn from people Bacheller knew in the North Country. In 1950, twenty-six novels later, he died at the age of 90 in White Plains, NY. Bacheller was buried in the Bacheller family plot in Evergreen Cemetery in Canton, NY. Despite Bacheller’s influence which played a large part in planting St. Lawrence County firmly in the North Country, the region’s boundaries shift east, west and south depending on who is using the term. Roughly speaking, there are five major North Countries in New York State: the archaic- the western traditional- the eastern traditional- the state-sanctioned- and the contemporary. The archaic North Country consists of only one or two counties. For example, Miss New York of the North Country is required to have either lived, worked or gone to school in St. Lawrence County. To the east, the North Country Community College is funded and sponsored by Franklin and Essex Counties. The core of the western traditionalist North Country consists of St. Lawrence, Jefferson and Lewis Counties. That is how the newcomers guide published by the Watertown Daily Times defines the North Country. The North Country Library System also uses this core group but adds Oswego County to it. Historian Harry Fay Landon’s North Country also begins with the western traditionalist core group but he includes Franklin County. The core of the eastern traditionalist North Country consists of Clinton, Essex and Franklin Counties. The North Country Chamber of Commerce and the North Country Real Estate Guide use this core for their North Countries and add Hamilton County and all or part of Warren County to it. Special Olympics New York also uses this core group for its North Country region but adds St. Lawrence County. The North Country of the North Country Underground Railroad Historical Association is also composed of counties from this core group but adds St. Lawrence, Washington, Warren and Saratoga Counties. The state-sanctioned North Country extends from the eastern shore of Lake Ontario to the western edge of Lake Champlain, and from the Canadian border on the north to the southern boundary of Hamilton County. As such, it is much larger and more stable than either of the traditionalist North Countries. The state-sanctioned North Country consists of Clinton, Essex, Franklin, Hamilton, St. Lawrence, Jefferson and Lewis Counties. The New York State Department of Labor, the New York State Regional Development Council, and the Empire State Development Agency serve people who live in the state-sanctioned North Country. The contemporary North Country takes in the largest area of all the North Countries. It extends from the Canadian border on the north to the Erie Canal on the south, and from the shores of Lake Ontario in the west to the edge of Lake Champlain in the east. The contemporary North Country includes all of the Adirondack Park, 14 counties, 14 cities, 255 towns and almost 40 percent of the state’s geographic area. The Adirondack North Country Association, an economic development organization that also promotes tourism, serves people living in the contemporary North Country, as does North Country Public Radio. So, given all the different boundaries people use to define their North Countries, exactly where is the North Country? The answer to that question is easier than it looks. To paraphrase words widely attributed to Pliny the Elder, the ancient Roman naturalist and historian, the North Country is where the heart is. This was an interesting topic because when I moved from Oneida County to the middle of Herkimer County I discovered that the people living just a few miles north of me were living in the Adirondacks. The people a few miles south of me are in the Mohawk Valley. I’m not sure where I am. I don’t know where I am either! Because I’m in between the Adirondacks and Catskills in the foothills. I don’t k ow if I’m upstate, central NY, what? I think the only name I know for sure is Leatherstocking Country, but no one really calls it that. Oh dear.